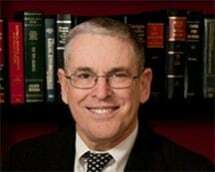 Orrin is a practitioner of General Law with over 30 years of experience. His emphasis is in uncontested divorce, criminal misdemeanors and Chapter 7 bankruptcy. Orrin served as a photo-intelligence officer in the U S Air Force. Orrin attended undergraduate school at Florida State University and earned degrees in Spanish, French and Library Science. He earned his Law Degree from Mercer University in Macon, Georgia. Orrin is the former Head Librarian and Library Director at law schools in South Dakota, Alabama and at Georgia State University and John Marshall Law School here in Atlanta. Orrin speaks fluent Spanish and is available to help non-English speaking clients.